Thick hair is more difficult to style than thin hair due to its weight and density. It is, therefore, futile to speed up the process. You will simply end up with a style that resembles a bundle of straws! Frizz, knots, and split ends are common thick hair issues. This is why you need styles, tools, and accessories that will resolve these issues and make you look presentable at the same time. For thick hair, heat-styling appliances that have high power and are built with ionic technology are recommended. The higher the power of your tool, the hotter and faster it will be. This means your hair will dry within a short time. An ionic blow dryer, for example, uses negatively charged ions to help your hair dry much faster, so there is no need to use a high temperature for the job. This reduces the risk of heat damage to your hair. The downside of thick hair is that the natural oils secreted by the scalp take a very long time to reach the ends of the hair. Cleansing your hair often will add to this problem because the ends of your hair will not benefit from these oils. This will leave your hair dry and dull. Styling thick hair that is dry and dull with hot rollers is not only difficult but also ends in very shabby curls! It is, therefore, recommended to cleanse thick hair twice a week at most. 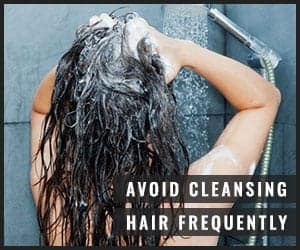 It is preferable to wait at least 24 hours after cleansing your hair. The reason is your freshly washed thick strands will be too smooth to hold the rollers in place long enough. Your hair will be easier to style and more manageable the next day because it will still be supple and also have the texture required for setting hot rollers. 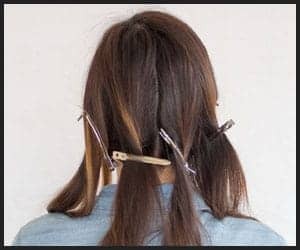 When using hot rollers, you will need duckbill clips to part your hair in sections and bobby pins to pin the curls to your scalp. Since there is far too much hair to deal with, it is wise to have an adequate number of these hair accessories close at hand. Brushing your hair before you set the hot rollers in your hair will give you very neat curls. 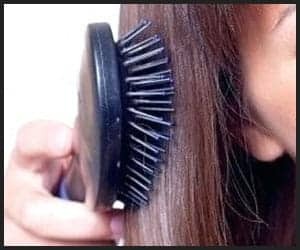 A regular brush will pull your thick strands and lead to breakage. It will also do very little to control frizz and knots which are common problems in thick hair. Opt for a boar bristle brush instead. It is not only gentle on hair that is prone to frizz and tangles but will also help to distribute the oils from the scalp to the ends of thick hair thus making it smooth enough to style properly. Thick hair has tremendous volume already. Volumizing hair products will make it resemble a giant pompom. As a result, you will struggle a lot to roll your thick strands around the hot rollers. Therefore, read product labels carefully and choose only those products that are formulated for thick hair. For thick hair, you will need more than one set of hot rollers. Typically, each set comes with a little more than a dozen hair rollers, so you will not have enough rollers for all of your hair. 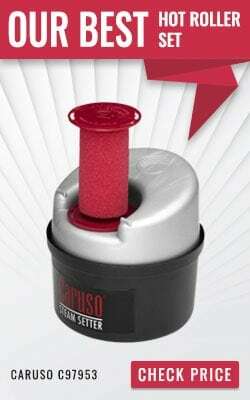 You will also need rollers of varying sizesfor layered styles which are more suitable for thick hair. As a rule of thumb, keep six rollers each of the small, medium, large, and jumbo sizes. It is thought that thick hair is resistant to heat damage and so there is no need for heat protection. This is a misconception. Thick hair is as vulnerable to heat damage as thin hair especially if it is consistently exposed to heat from styling tools. Therefore, you must take precautions when using hot rollers on a regular basis. Invest in a good heat protection serum for your thick locks. You might be tempted to forego this step in the curling process using hot rollers. Keep in mind that without sectioning your thick mane, it is impossible to achieve beautiful curls or waves with hot rollers. This is especially true for people with long thick hair, who will end up with knots and an untidy head of hair on their shoulders. If you set hot rollers in your thick locks while they are still damp, the chances of your hair becoming frizzy once dry are very high. This is why you should wait until your hair is thoroughly dry before you set in the hot rollers. Thick hair is much harder to style than thin hair. However, this should not stop you from attempting styles that you find desirable. Curls, waves, and ringlets are possible with hot rollers. It will help you immensely to look for hot rollers with titanium plating, ionic technology, and argan oil infusion for thick hair. Titanium coating ensures a uniform distribution of heat throughout your hair. 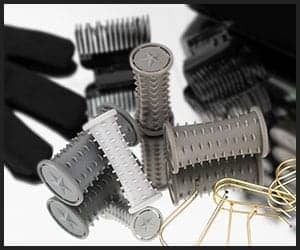 Ionic hair rollers help to dry up any moisture on your strands in the shortest possible time. Hot rollers infused with argan oil can benefit thick hair particularly since it is very sensitive to humidity and tends to dehydrate easily. Also, avoid cleansing your hair too often and when you do cleanse your hair, wait until the next day to use the hot rollers. Use a boar bristle hairbrush and hair products made for thick hair. 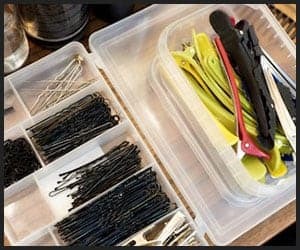 Stock a sufficient number of hair clips, pins, and rollers. Remember to part your hair into manageable sections, use heat protection, and make sure your hair is completely dry. 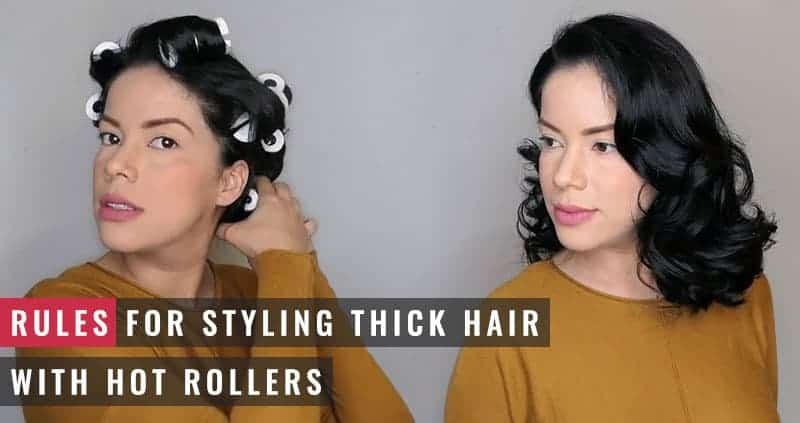 If you pay attention to these things, you can optimize your experience of styling your thick locks with hot rollers.